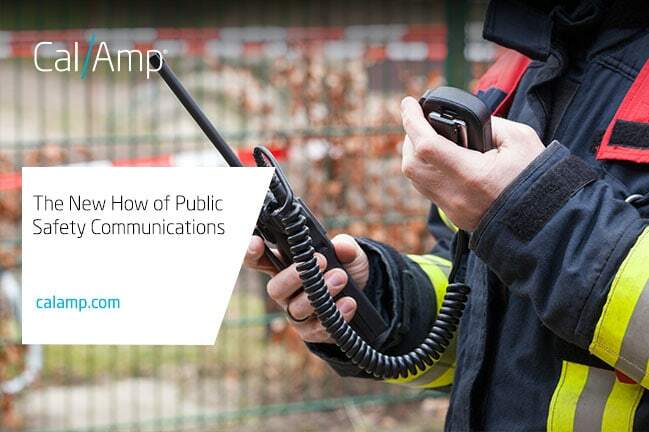 When it comes to public safety, each group needs to be able to communicate with its own team as well as coordinate with other groups. For example, in some areas, there may be one dispatch for emergency services and another for law enforcement. In another situation, a town’s central dispatch is able to coordinate all first responder departments, yet an incident happens in a state park. Responding teams need a map and information about key structures on the property. How do they get that information? Public safety agencies around the U.S. have to manage an influx of information in order to respond efficiently and quickly. With the right solution, these groups are able to access the resources they need to handle the situation. They are also able to transmit the data for better interagency coordination. This is where vehicle area networks (VAN) excel to make public safety communications seamless and reliable. Download and read the St. Charles case study here. As we reviewed in a previous blog, VAN connects legacy and new systems as a local Wi-Fi hotspot. It connects handheld and other devices across multiple communication networks such as 4G LTE and satellite. Having fallback options helps keep dropped connections to a minimum. Another benefit is that security standards are an integral part of the system. These protocols ensure the secure transmission of data. In Missouri, the St. Charles County Department of Emergency Communications (DEC) was wrestling with this issue. They needed a solution that could add communication capacity to handle voice and the larger data streams. The goal was to dispatch more quickly across the 593-square-mile area based on which resource was the closest to the call. In addition, the new technology had to integrate with their legacy system. They worked with CalAmp Channel partner, DH Wireless Solutions, to resolve the challenges. You can learn how they integrated CalAmp’s Vanguard 5530 and the results in our case study. Download it here.